Over the last few weeks a Black and White Photo Challenge has been spreading over FaceBook. Not sure where it originated from, but the concept is that one photographer nominates another photographer to post one black and white photo each day for 5 days, and each day nominate another photographer. Hence, the Black and White Photo Challenge spread very quickly, and was a great way to share and see the work of others. What’s great is that a Facebook page dedicated to this challenge has been created (https://www.facebook.com/groups/743373815732831). I was fortunate to be nominated a couple of times for this challenge and wanted to share these photos. Hope you like the shots. 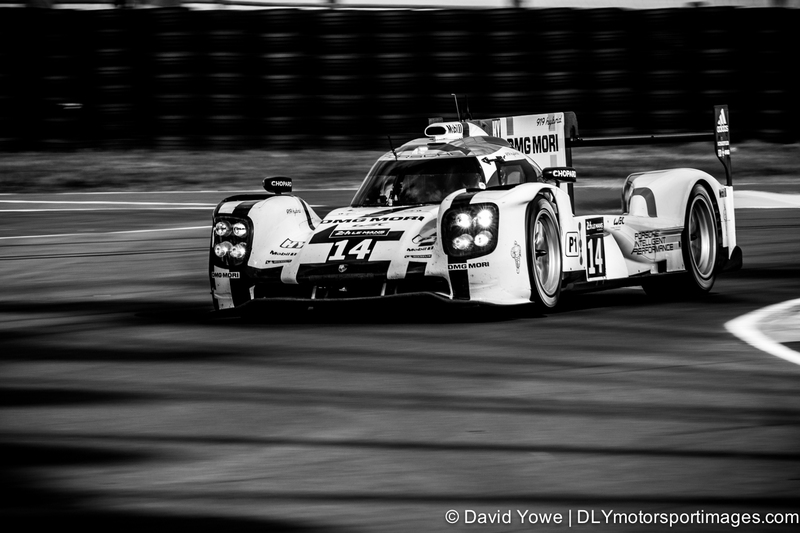 Day 1 – #14 Porsche Team Porsche 919 Hybrid driven by Romain Dumas, Neel Jani, and Marc Lieb at this years 24 Heures du Mans. 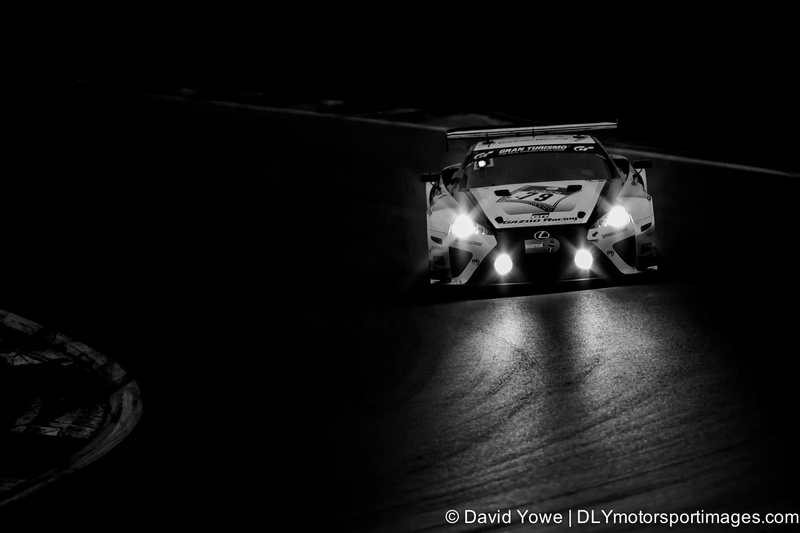 Day 2 – “Cutting through the darkness with lights ablaze” on GAZOO Racing Lexus LFA at the 2013 ADAC Zurich 24 Hours. Day 3 – “Beautiful light” at the 12 Hours of Sebring in 2013. 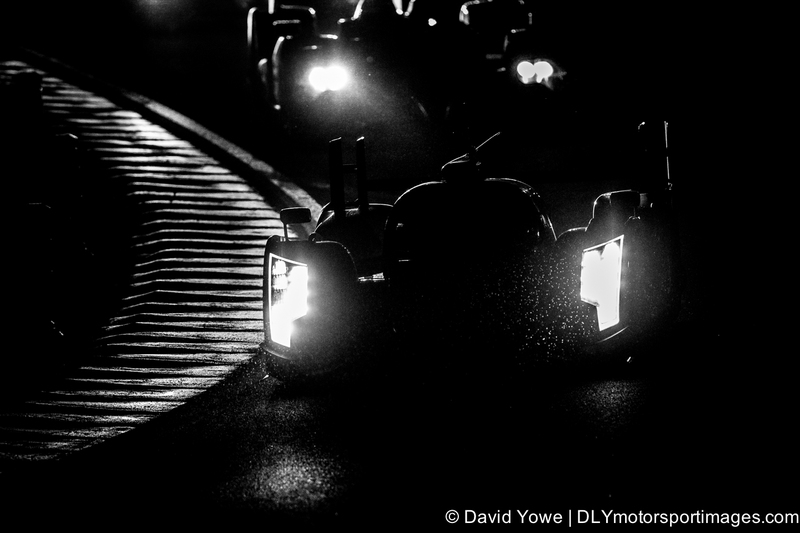 Day 4 – The blazing headlights of an Audi R18 cutting through the dark and rain at the 24 Heures du Mans in 2013. 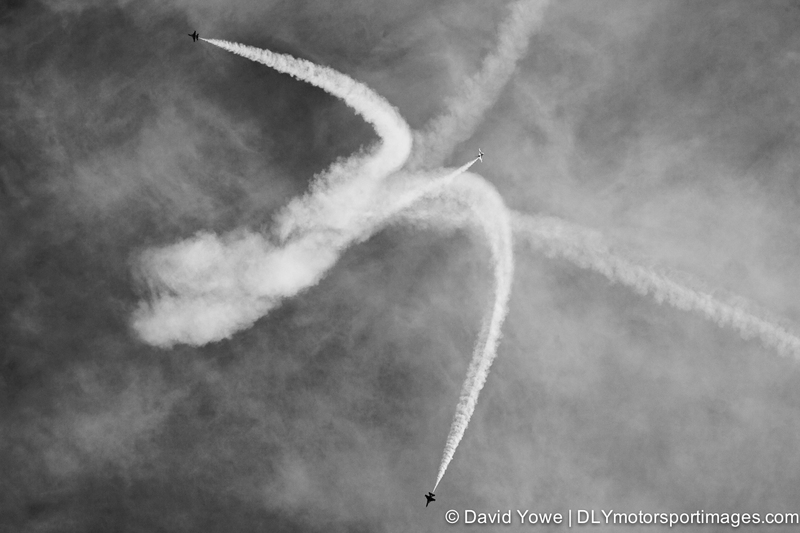 Day 5 – “In the sky with the U.S. Air Force Thunderbirds”. While I was looking back at my photos found some airshow photos from a few years ago, and thought I’d post something different. Airshows were one of the things that got me into photography. 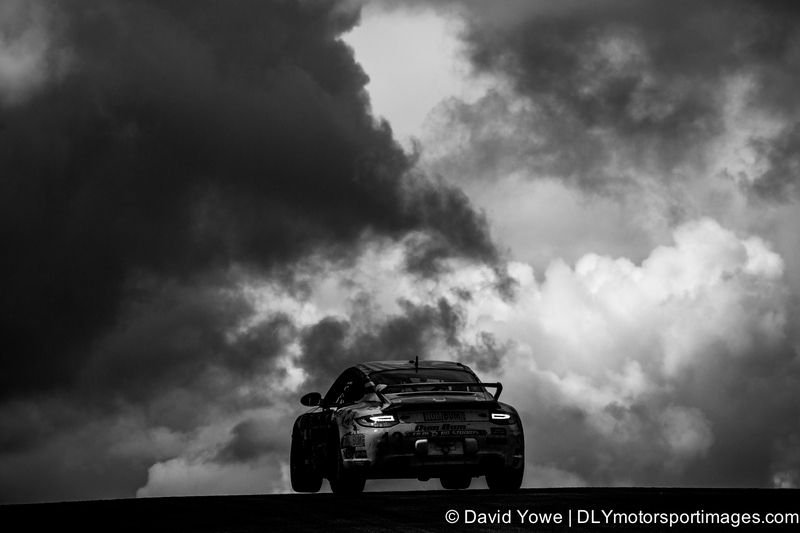 Day 1 – “Into the clouds” with the #13 Rum Bum Racing Porsche 997 at the IMSA Continental Tire Sports Car Challenge at Lime Rock Park in 2014. This shot was taken at the bottom of the Uphill part of the track. Originally was exposing on the car, but the clouds were overexposed. Then decided to expose on the sky, which brought detail to the clouds and resulted in a partial silhouette of the cars as they raced over this hill, with some cars lifting there front wheels. Day 2 – “We won”. 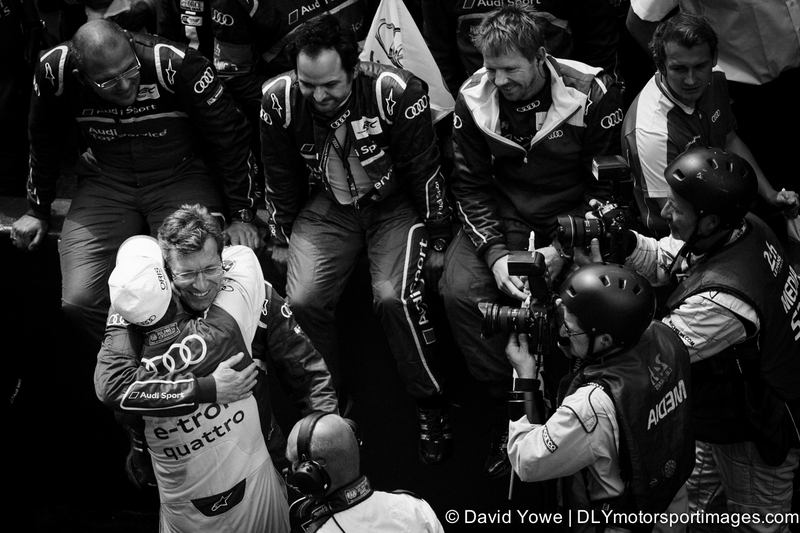 Ralph Jüttner (Managing Director) congratulates Marcel Fässler co-driver of the #2 Audi R18 e-tron quattro that won this years 24 Heures du Mans. 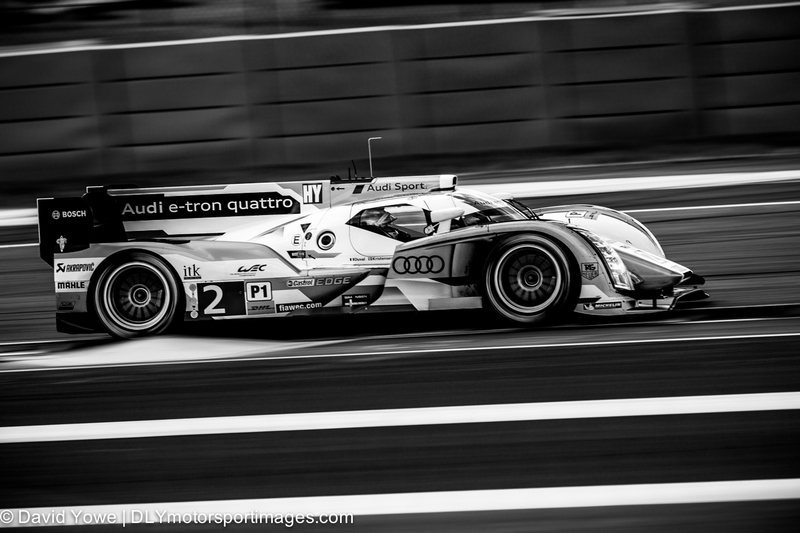 This was Audi’s 13th win and I think it had extra significance since the team had to overcome some many challenges. My wife and I were watching the Audi Sport team celebrate the win from the Grandstand above there pits, then noticed this photo opportunity. B&W really helped with this photo, since the color version is a “sea or red” due to the uniforms of the team. Processing in B&W simplified the photo and enabled a focus on the key figures. 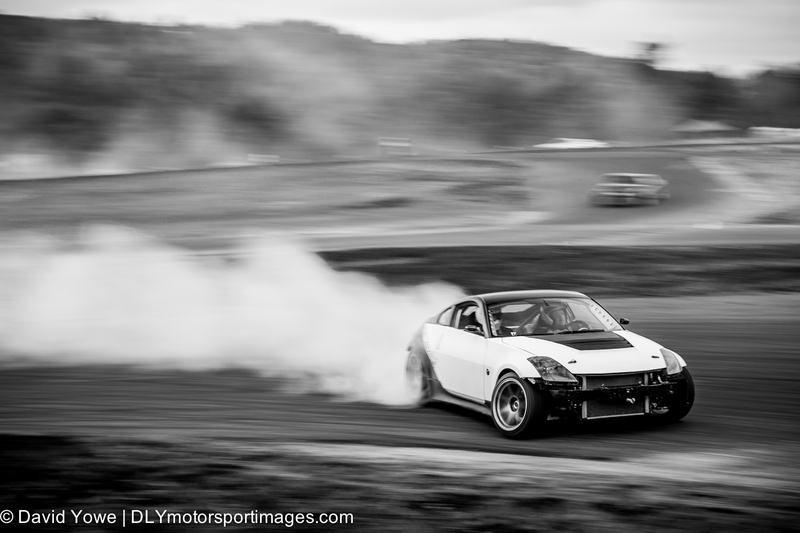 Day 3 – “Rooster tail on the back straight”. The Sunday race at the Grand Prix of Alabama at Barber Motorsports Park this year was delayed due to severe weather. 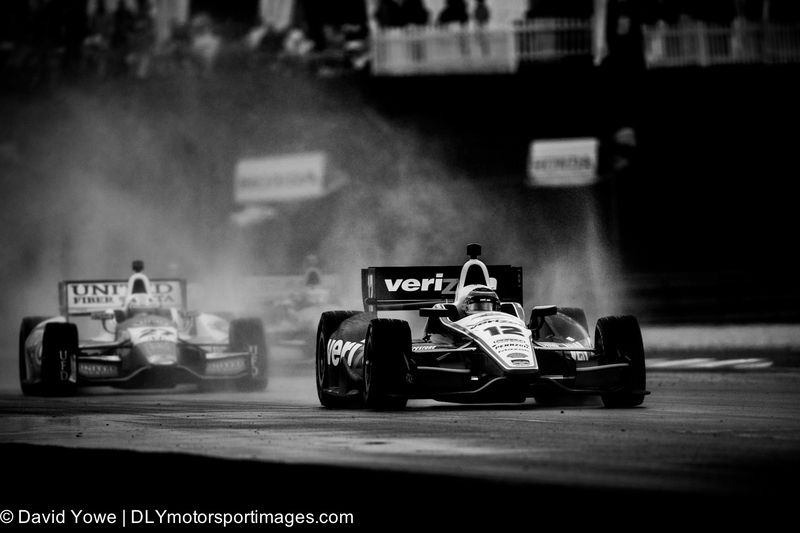 The race started on a wet track in the late afternoon, and Will Power in the #12 Team Penske led in the early laps. I’d seen “rooster tails” of water spray from open wheelers before, but had never been so close. Was amazing to watch the lead car speed by with a clear line of sight, and the trailing cars suddenly appearing out of the cloud of water spray. I could only imagine how difficult it must be to see where you are going under these conditions. For a moment, I even stopped photographing and just watched and appreciated the skills of the drivers. I said to myself “this why I enjoy motorsport photography and what I live for!”. Day 4 – “Smoking tires”. Last year I was at Lime Rock Park to photograph the VSCCA Fall Finale. Throughout the day I could hear noises and see smoke coming from the upper car park area, but didn’t know what was going on. After the VSCCA finished, walked up the hill and saw this. Was the first time I’d seen drifting in person. It turned out that ReadySetDrift was holding an event. Was really great to see the joy on the faces of the drivers and passengers and watching the unique lines the cars would take as they sped through the circuit. Day 5 – “Audi at Utah”. This year was the 25th anniversary season for the Pirelli World Challenge and the series concluded its historic year at Miller Motorsports Park. 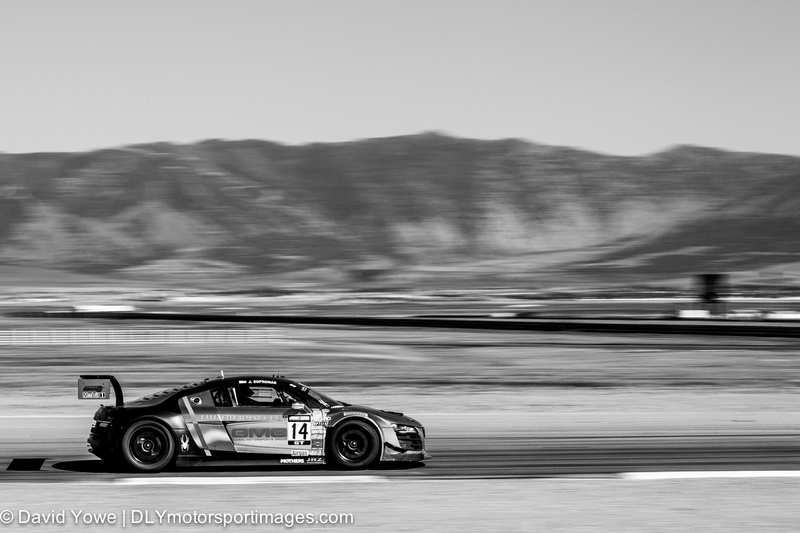 The beautiful chrome livery of the #14 GMG Racing Audi R8 Ultra speeding across the flats was in stark contrast to the barren landscape and steep mountain range in the background. B&W emphasized this contrast between car and landscape, giving the background a flat “charcoal-like” painting effect. Realy great work, love the “we won” shot, really captured the moment and atmosphere. ‘Day 1’…………..First time I have seen a car doing a wheelie! Both front wheels off the ground.